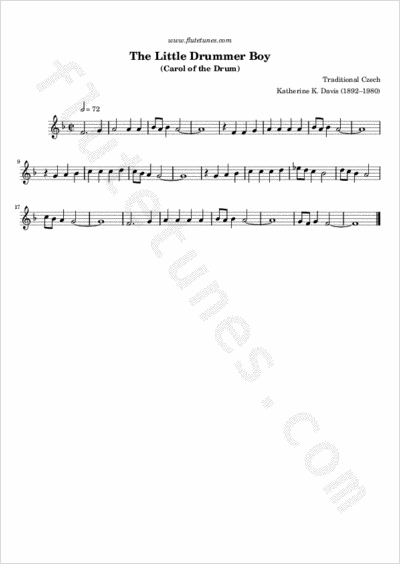 This well known carol was originally a Czech song usually referred to as the “Carol of the Drum”, which pianist Katherine K. Davis translated to English in 1941. In 1957, the hitherto obscure song was re-arranged by Henry Onorati for a recording by the Jack Halloran Singers, but this version was not released in time for Christmas. The following year, 20th Century Fox Records contracted Onorati's friend Harry Simeone to make a Christmas album. As Simeone was looking for material, Onorati introduced him to the “Carol of the Drum”. Simeone re-arranged the song, retitled it “The Little Drummer Boy,” and recorded it with the Harry Simeone Chorale on the album Sing We Now of Christmas. The song was jointly credited to Simeone and Onorati... even though they had only arranged it. The album and the song were an enormous success, with the single scoring on the U.S. music charts from 1958 to 1962.